Year: 1954 Item #: 446 Views: 4,214 Comments: No Comments. See Robbialac First! 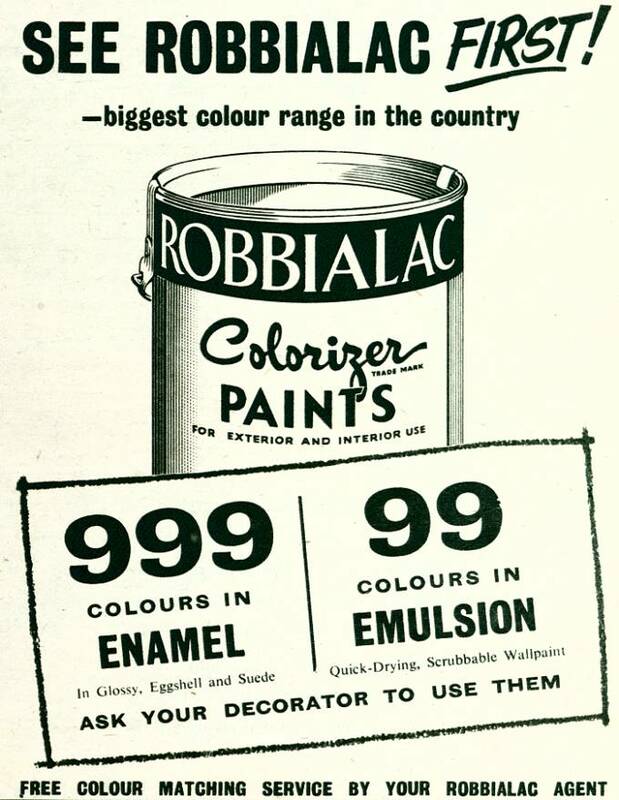 - biggest colour range in the country - 999 colours in enamel, 99 colours in emulsion.